The coastal city of Yantai, East China's Shandong province signed 65 agreements with a total investment of 270.6 billion yuan ($42.2 billion) on Sept 27 at an investment promotion forum. 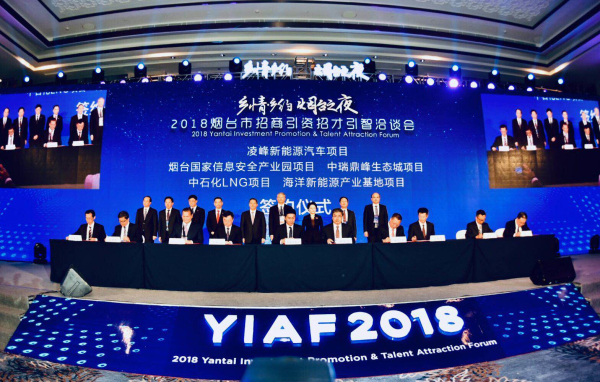 Yantai, the host of the fair, aims to promote investment and trade with global top companies and lure more business elites to boost local economy and ramp up the transformation of old growth drivers. More than 380 representatives from influential business organizations, world-renowned enterprises as well as some renowned experts attended. The forum had one main venue and four sub-forums covering advanced manufacturing, modern service and marine economy and health sectors. 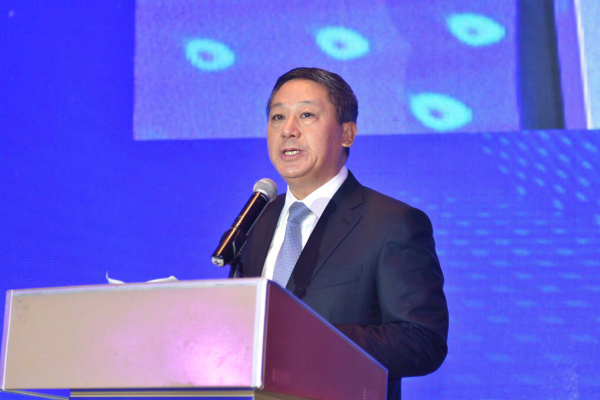 Zhang Shuping, Party chief of Yantai, delivered a keynote speech and said the city is one of the birthplaces of China's national industry and has huge potential in developing the maritime economy with its vast sea area, long coastline and rich maritime resources. Ai Zhouping, the head of Heraeus Group in China, expressed the intention to deepen partnership with Yantai in his speech at the main forum. Heraeus Group, a leading supplier of metallization solutions in Germany, will set up two projects related to new models in alloy silver wire in Zhaoyuan of Yantai city, with a total investment of 300 million yuan ($46.8 million). Those signed projects will promote the exchange of professionals, technical capability and capital to accelerate the integration of innovation and the real economy, Zhang added. Yantai boasts complete industrial categories and is home to 47 listed companies including Mitsubishi, LG, General Motor (GM) and Total. It also has bred some renowned local companies such as world-leading wine company Changyu aand Longda Food Company. To date it has cultivated 600 billion-dollar industrial clusters covering equipment manufacturing, electronic information, food processing, modern chemicals and automobiles. Last year, the city's major industrial business revenue reached 1.4 trillion yuan, top in Shandong province. "These leading companies not only bring economic benefits and capital to Yantai, but also advanced management and production experience," Zhang said.